Andy is a Co-Founder and editor of The Travel Hub. In August 2018 he visited the Polish city of Krakow and went on a tour of the Auschwitz and Birkenau Concentration Camps. Read about the experience, what to expect and how to plan your visit to a very sad reminder of what humanity is capable of. It seems strange to write a review encouraging people to visit a place, that I am sure they are not going to enjoy! 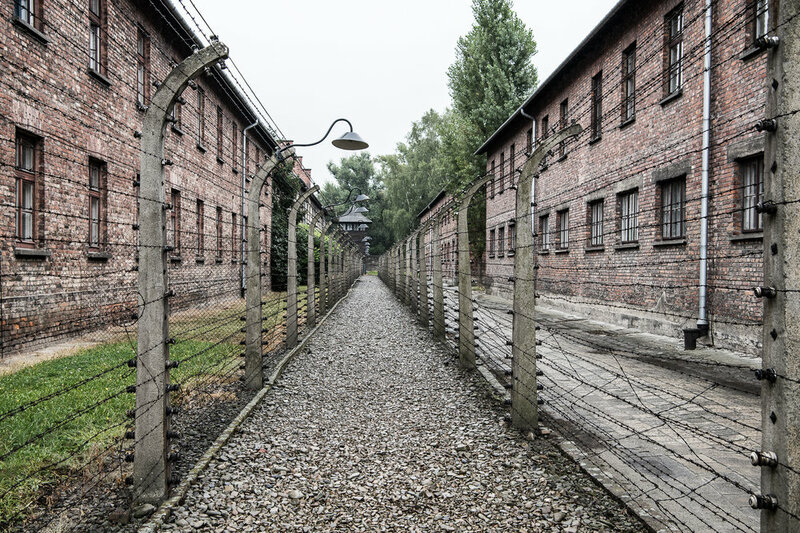 Some 70km from Krakow, are the Auschwitz-Birkenau Concentration Camps, where during World War II, approximately 1.5million people were killed by the Nazi’s. However, far beyond the overwhelming statistics of human loss, is an emotional awareness from visiting the locations, hearing the stories and seeing the places where some of these atrocities of humanity occurred. Auschwitz is undoubtedly a place that everyone should visit, but nobody will actually like. The drive from Krakow to Auschwitz is a little over an hour long. The seats in the mini-bus seemed really cramped, especially for someone with long legs……….later the stories told of unimaginable hardship would make this complaint of mine seem ridiculous. A video plays on the TV screen during the bus ride, it provides some of the history of World War II, the Nazi invasion of Krakow, the role of Auschwitz and the liberation following the German surrender. 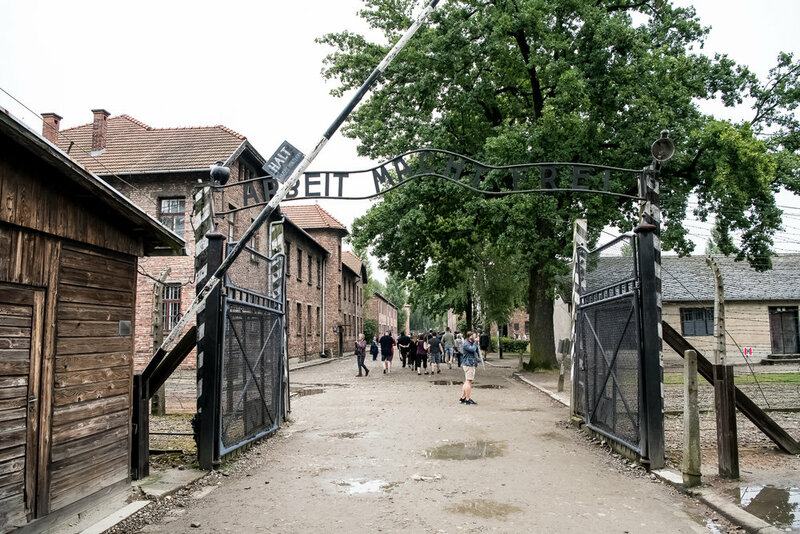 In hindsight, the film seemed much like a high-school history class documentary and could only be given context by visiting Auschwitz itself – no amount of reading or watching on television compares to the uneasy feeling of standing exactly where the heinous actions took place. Arriving outside Auschwitz I is similar to many other “tourist attractions” - there is a constant flow of buses stopping and letting out hundreds of visitors, people queue for tickets and visit the cafeteria and souvenir shops – it could be any historical landmark. Once gathered in your tour group and with headsets on, you go through the security check to enter the camp. Inside you stand in front of the infamous gates with the cruelly misleading phrase “Arbeit Macht Frei” – Work Sets You Free. It had been hot and sunny during my stay in Krakow, however on the day I visited Auschwitz, it rained all night and the morning was overcast with intermittent showers. Walking beneath the grey skies and puddles I actually found it hard to imagine this place under bright, sunny skies. The significance of hearing the stories whilst walking around a place like Auschwitz, is that you can begin to build a mental picture of what conditions must have been like. To see the incredibly small rooms where people were locked in solitary confinement as punishment for things as minor as sharing food. You will stand in front of the wall where firing squads would execute prisoners on an almost daily basis. But something that I will never forget is standing at the area where they would perform roll call – which at times would take many hours in the freezing cold and snow. At the front, was a small wooden room, where the German officer would stand to read the names, sheltered from the elements whilst the prisoners would quite literally freeze to death. 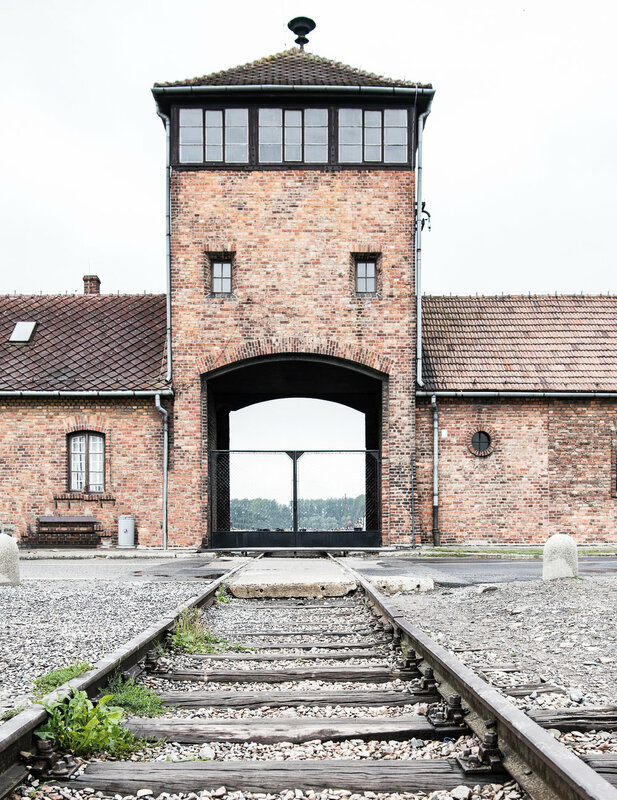 The short drive between Auschwitz I and Birkenau is a short chance to consider all that you have just seen – it couldn’t possibly get any worse than that, surely. Quite unbelievably, arriving as a prisoner at Birkenau was a worse fate than being taken to Auschwitz I. You will enter through the main gates and walk along the train tracks which once transported load after load of mostly Jewish prisoners. Possibly the most heartbreaking story from my visit, was hearing that prisoners arriving at Birkenau were under the impression they were going there as an opportunity to work meaningful jobs and have a life during the war. They would step out of the carriages with a sense of optimism. On the platform, they were immediately separated into 2 groups, those capable of manual labour and those unfit for work. 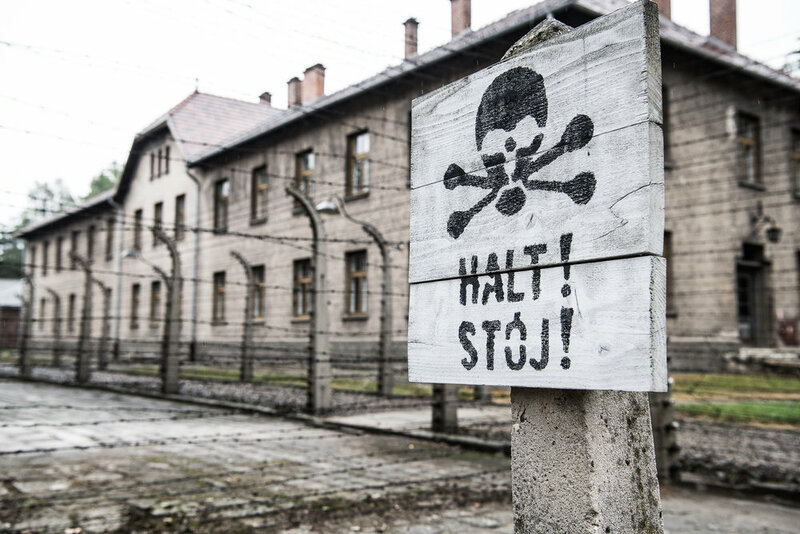 People deemed unfit for work, including children, the elderly, disabled or otherwise not physically strong, were taken immediately to the gas chamber. They entered the chambers willingly, told that they were showers to freshen up after their long train trip. The cruel illusion went so far as making sure they all knew where they had placed their personal belongings before entering the chambers. For the majority of prisoners, arriving at this platform in Birkenau led to a very sad end. Birkenau was not a place anyone would wish to find themselves during World War I. At the end of the war, the Nazi’s attempted to cover up what occurred at Birkenau, by destroying a lot of the buildings. What remains are rows and rows of largely burnt down buildings. The ones that remain, show the living conditions provided for those deemed fortunate enough to be “fit for work”. The walk around Birkenau is an incredibly eerie experience. Hearing the stories of what occurred and knowing it was so awful that the people in control tried desperately to remove the traces. At the end of the war, the Nazis tried to destroy the structures at Birkenau. At the end of the trip, our guide asked for questions and one guest asked “is it normal there are no birds or animals” – it is such a huge area of land and it hadn’t occurred to me until then, that for the entire day I hadn’t seen or heard a single bird……………………..
- Between 8-10am and after 3pm, entry to Auschwitz I is free and you are allowed to walk around yourself. Between 10am-3pm, you can only enter as part of a tour – entry as part of a tour will cost you 50PLN (USD14). You may enter Birkenau with a ticket at any time between 8am and 5pm. - A guided tour is the best way to learn about the very intense history. Tours are conducted in many languages and you can line up and buy tickets then join a tour, or pre-book with operators who will reserve places in tour groups. Be warned, the lines can become very long and the spaces on tours are limited, so if you miss out you will have to wait until after 3pm to enter and walk around yourself. This is the advantage of pre-booking. - Companies like Royal Cracow will arrange pick up from your hotel , transfer between the locations and your place on a tour. The cost for transport and the guided tour with Royal Cracow is 165ZLN (USD44). o No bags larger than 30cmx20cm (A4 paper). o No food or hot drinks (cool drinks are allowed). o Photography is allowed, but no flash photography inside buildings. There are a small number of areas where photographs are not permitted. - The walk around Auschwitz I is mostly indoors, however Birkenau is almost all outside – so dress accordingly. If it rains heavily during the Birkenau tour and you don’t have an umbrella or jacket, you will get wet! - Birkenau is quite a large area and you will only cover a relatively small part of it during a guided tour. It would take many hours to walk the entire camp. I can’t bring myself to describe Auschwitz as a “tourist attraction”. It is absolutely somewhere anyone interested in modern history should experience and a must if you are visiting Krakow. It is confronting and unpleasant, however it provides an invaluable dose of perspective. One of the quotes on the walls in Auschwitz will remain with me for a long time – “Those who do not remember the past, are condemned to repeat it”. It is a powerful message and it leaves you questioning just how well we have learned from our mistakes.